Have you ever had Starburst jelly beans?!?! They are my favorite! 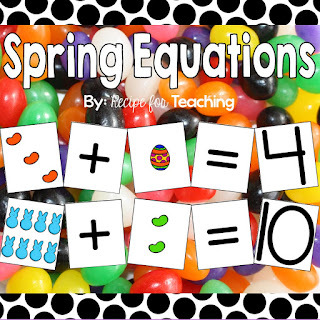 Jelly beans make a fun math manipulative during spring. They also make a tasty treat! 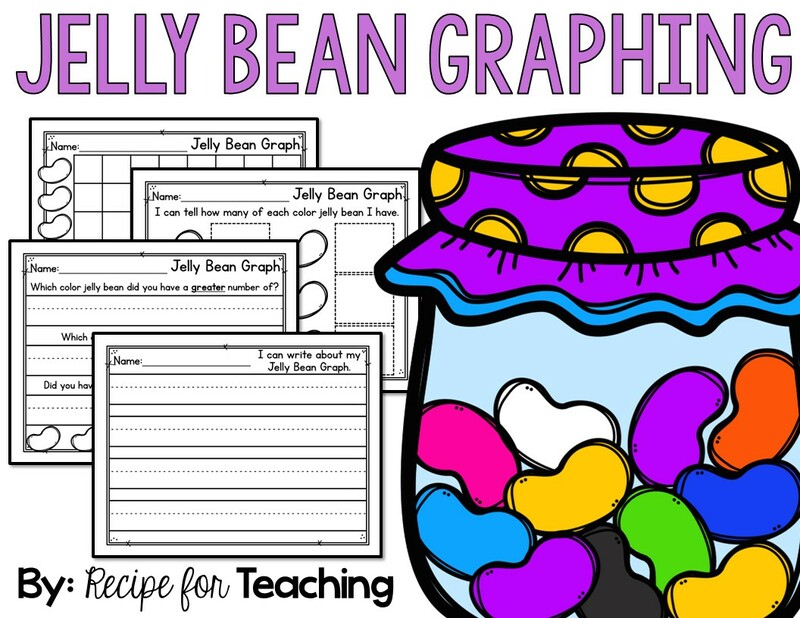 On the second day of this activity, my students are going to use their graph to record how many of each jelly bean they have. 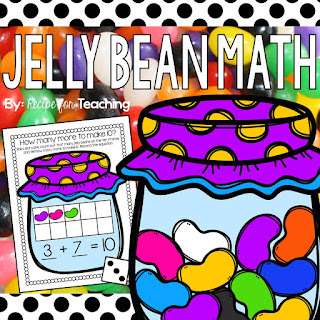 This will help with the next day's activity when they compare the number of each color of jelly bean. On the last day, I am going to have my students write about their graph. This is where they can write in complete sentences about how many jelly beans they have and which is greater/less/equal. It is so important to have your students write across different subject areas. I love to include writing about math whenever I can. 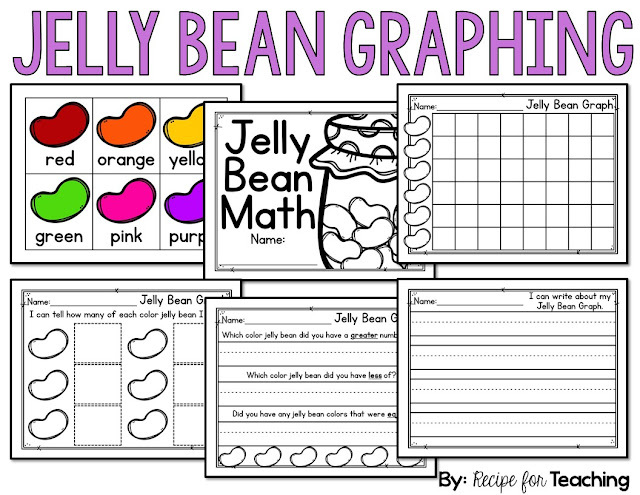 I've also included jelly bean color cards for your students to reference while writing and a cover for the pack of activities they will be doing. If you want to try this with your students, just click the image to grab your FREE Jelly Bean Graphing pack! !